"Double" almost always means twice as good, twice as nice, twice as useful. 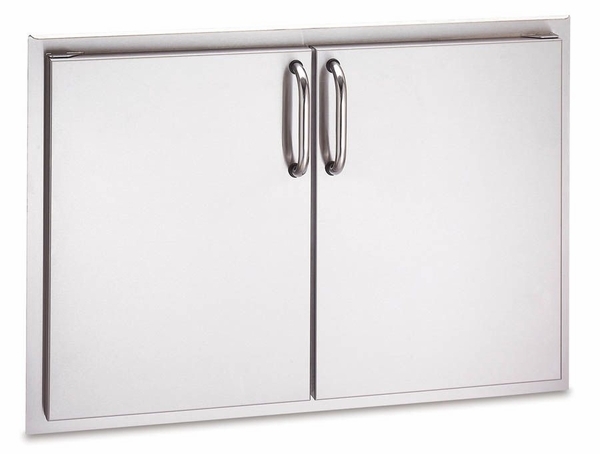 These double access door sets from American Outdoor Grill also feature double-wall construction for added durability and strength. The tubular handles make access a breeze, while the expansive opening (see dimensions below) means there's plenty of room for supplies, tools, and other grilling equipment. Double your fun and double your access space with this handsome cabinet accessory.